Nathan Reade is a representative of the British Renaissance Policy Institute. Through his work with the organisation and via his writing, Nathan hopes to combat the displacement of indigenous people in Britain as well as highlight and stem the tide of Cultural Marxist rot poisoning the minds of his people, and decimating his beloved homeland. n hopes to combat the displacement of indigenous people in Britain as well as highlight and stem the tide of Cultural Marxist rot poisoning the minds of his people, and decimating his beloved homeland. Nathan’s path to nationalism was accelerated by the drastic changes he witnessed in his native Birmingham. “I grew up in Birmingham, and as proud as I am of being a Brummie, I absolutely detest the multicultural nightmare my birthplace has become. I found myself angered by the extent and cataclysmic nature of the changes, wondering who orchestrated them, and for what purpose. Somewhere between my first investigation and the day I recognised I was a nationalist, I’d realised I’d opened Pandora’s box, and there was no turning back.” See here for full 6000 word article. A man of action, Nathan believes that the time for political discussion is over. Moving forward he wants to help British Renaissance unify like-minded people and attract others through awakening and strong leadership. He is also a firm believer that the Alt Right is NOT the answer, that it too is flawed due to its propensity to attract deviants with non-traditional views of family, faith, gender roles, sexuality and country to the movement.There are far too many beta males, homosexuals and women on the Alt Right for our liking as well. Nathan’s scathingly sardonic writing and bold orations have been featured on the European Knights Project and countless other publications. Nathan started his political journey with the English Defense League, actively marching alongside Tommy Robinson during the mid 2000s. To learn why he left the EDL click here. 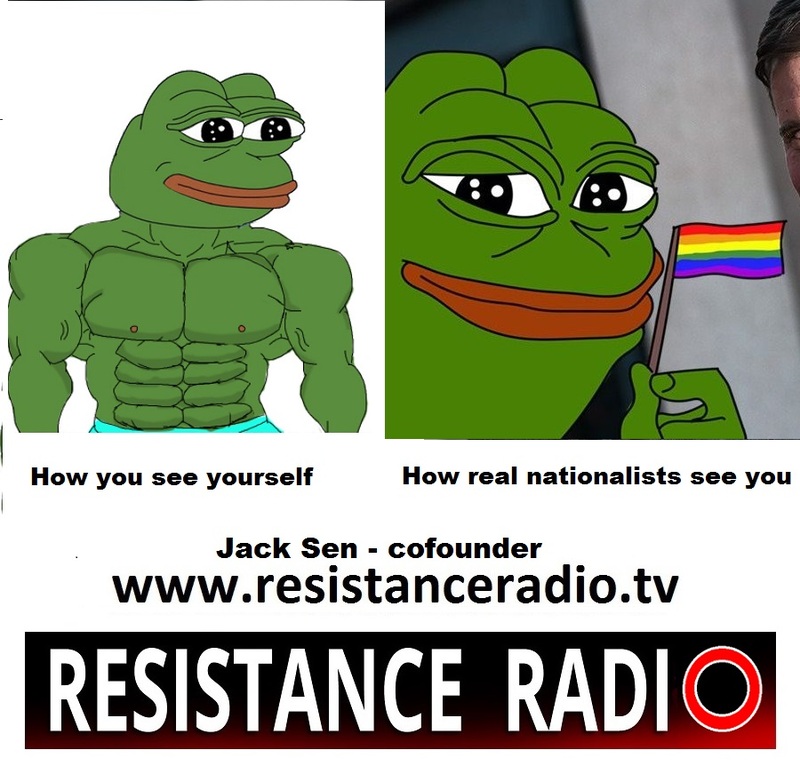 Nathan Reade has also been a guest commentator on Resistance Radio, and a regular on the nationalist circuit.